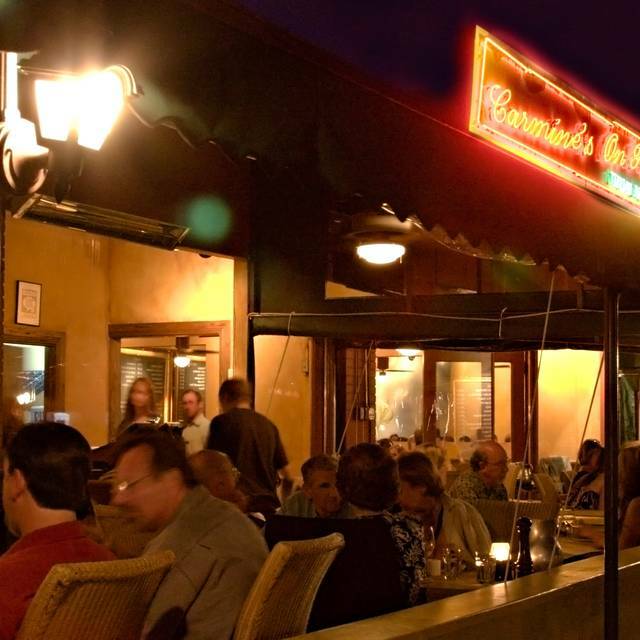 You must make reservations at least 5 minutes in advance of the time at Carmine's On Penn. Street parking in our neighborhood. The parking lot we used to lease has been sold for development so we are no longer able to offer valet parking. There is a school between Cedar to the south, Bayaud to the west, Washington to the east, and Pearl to the west. It is a short block from us and since no one lives there, it is a reliable place to find a parking spot. Our Blue Room accommodates parties ranging in size from 15 to 32. 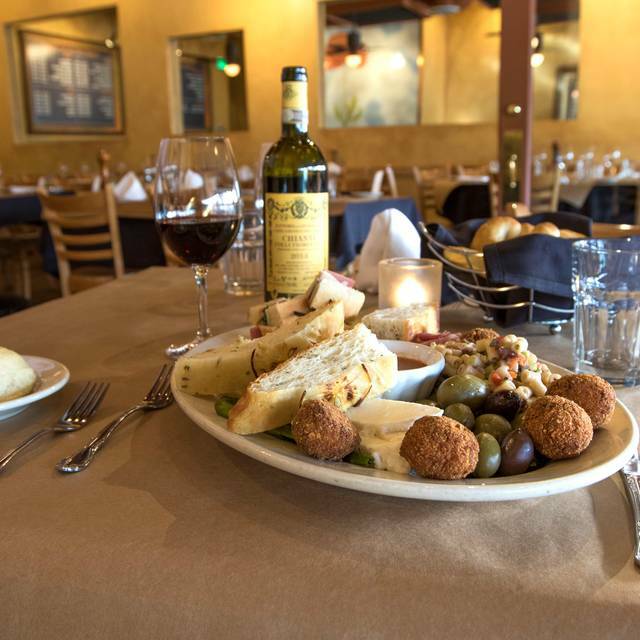 We offer inclusive pricing with food and wine selected for your party. 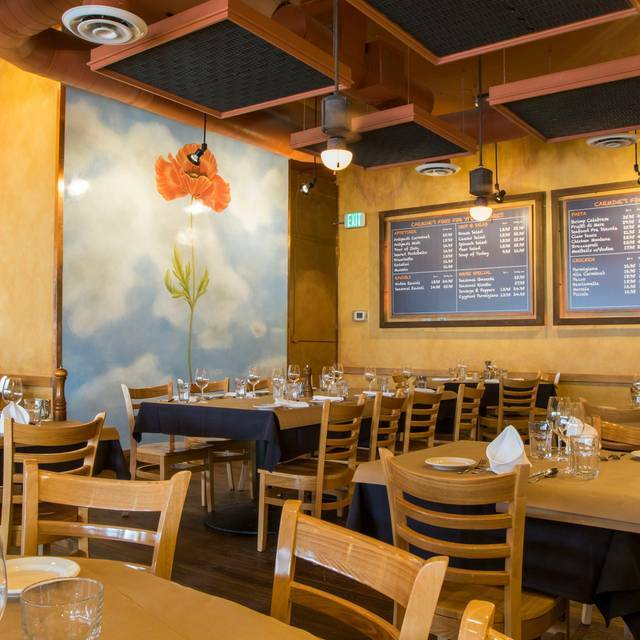 If you are interested in hosting a private event, please give us a call at 303-777-6443 and ask for Stephen. Catering is an added feature of the restaurant with the goal of bringing our respected, and consistently delicious food to you. 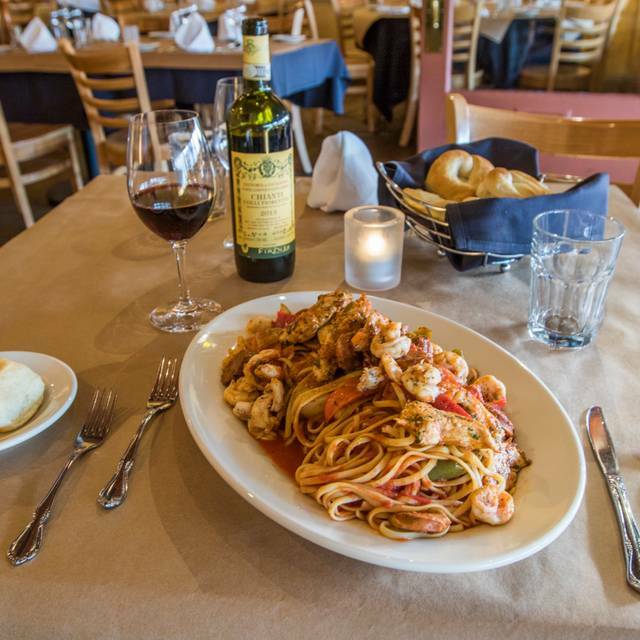 By providing off-site service for corporate, business and private events, Carmine's offers a personal approach for clients and customers to enjoy and appreciate simple, yet satisfying, menu options at their place of work or in the privacy of their own backyard. Our Private Room accommodates parties ranging in size from 15 to 32. 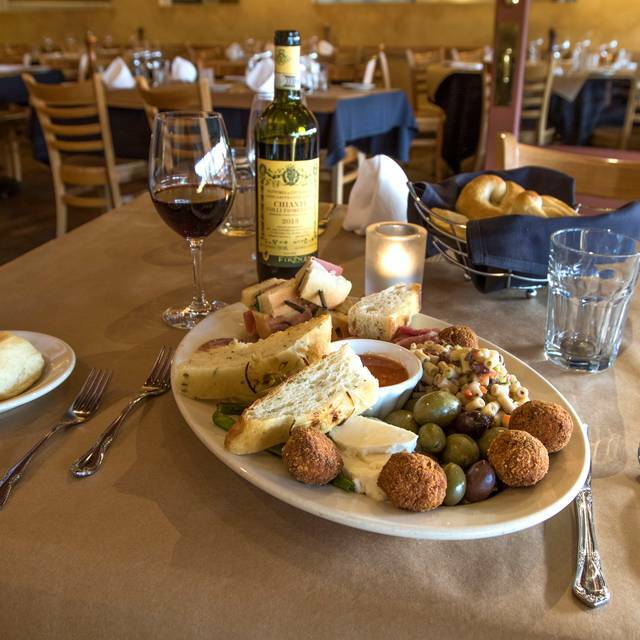 We offer inclusive pricing with food and wine selected for your party. 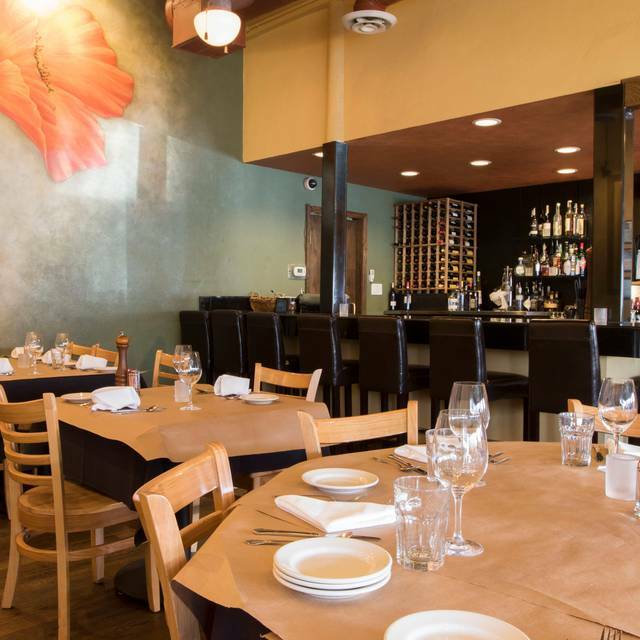 If you are interested in hosting a private event, please give us a call at 303-777-6443 and ask for Brad. Carmine's on Penn was established in 1994 as a neighborhood, family-style Italian restaurant. Our atmosphere is casual, festive, and friendly. Our servers bring the chalkboard menu to life, describing dishes and offering advice on selecting just the right combination of food and beverage. This dinner was for our son’s birthday during his spring break. We were told to come here by friends and we’re glad we did! Excellent service & food! Bravo! The service was very personable and we really enjoyed the atmosphere. The food was excellent and I thought the wine was responsible priced per bottle. I would highly recommend Carmine's On Penn to anyone! It’s a good thing I don’t live by here. I would eat here every day. Great, creative food. Casual atmosphere can encourage some loud folks, but they left soon after we got there so things got better quickly. The bread was a little hard but other than that stunning. The chicken marsala was garlicky and lovely and the seasonal gnocchi made even the pickiest among us happy. Great place. They also made my mother feel super special for her birthday which was so very appreciated by us all. We Will return! Sadly, since new ownership, this restaurant is not the same. They've changed their vodka ravioli recipe which was the sole reason that we went to Carmines for our special occasion. The service was fine but our waitress wasn't friendly and seemed annoyed that we asked so many questions (fyi...if you put your menu up on the wall without any detail, customers are going to ask you lots of questions). I used to love this place but it's not the same. Felt very warm and welcoming. Food is outstanding and they were happy to accommodate the children who are very picky eaters. 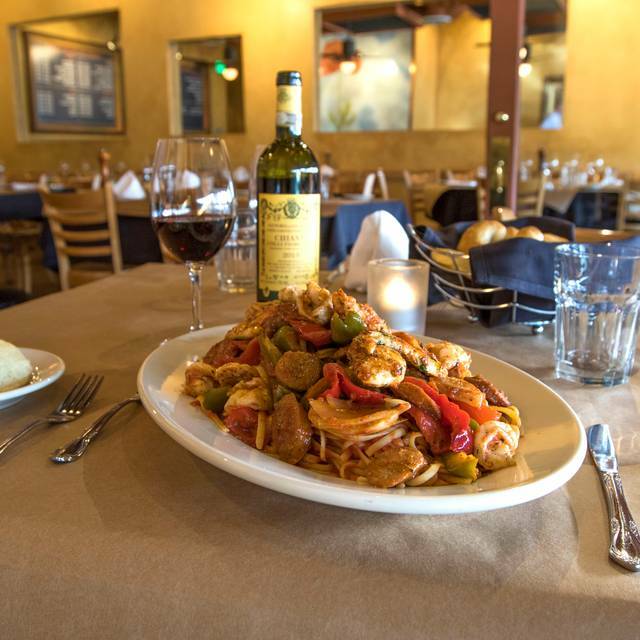 The best Italian for the price in Denver. There a couple of better places (Barolo Grill, Wooden Table), but their prices are significantly higher. Maybe the best Linguine and Clams in Denver. Lots of choices, both traditional and creative entrees. The Veal Parmigiana is sublime. Great service, great food, reasonable price, leftovers for a couple of days. What more can you ask for? The tables are a little small, but it's worth it. I've lived in Denver 20 years and never been to this little gem! Took my husband for his birthday and it was a fantastic experience! The food was delicious!!! Huge portions, so we had leftovers for the next night. Don't leave without trying their house red sauce...one of the tastiest sauces I've ever had at an Italian restaurant! Drink, food and dessert selections extensive and a very friendly staff. My only complaint is the patio rooms were chilly, but I guess we could've asked them to turn on the heaters that were up near the ceiling, and the noise level in those rooms is very high, hard to have a quiet conversation. But it will not deter me from returning...great experience!! Great food, great service. Took a 3 year old on the early side and they were extremely accommodating. My nephew, his wife, and I love the place. We had family in town for a ski trip and we took him there before he hit the slopes. It's been years since my last visit and last night did not disappoint. Loved our genuine Caesar salad with delicious anchovies on the side. Entrees included the vodka ravioli and the Carmine Montana, both flavorful and filling. Even with the small portions, plenty in our To-go-box. Service was superb with appropriate "rest time" between courses that made it a relaxing, enjoyable meal. What a great night! Outstanding, fun service & the food plentiful & delicious. It’s been years since we visited this restaurant & it was every bit as great as I recall. Perfect family birthday dinner venue. 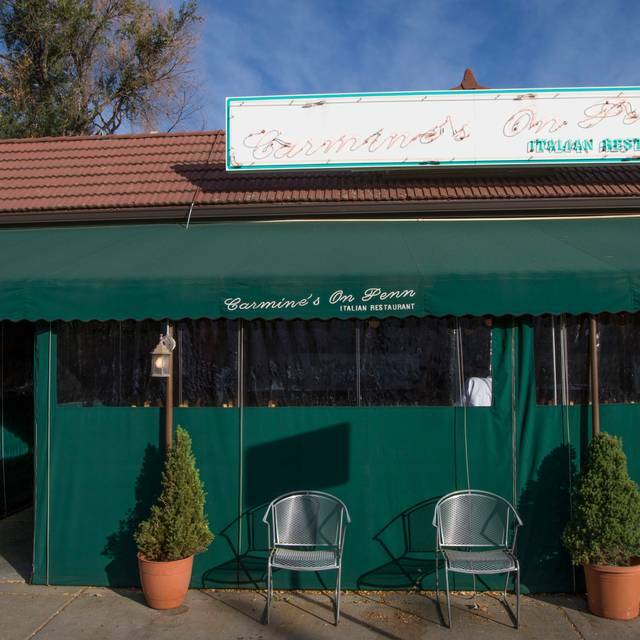 Carmines is one of the best restaurants in Denver. I have and will continue to go there. Bring the Family and have a wonderful evening! Fun food and super atmosphere to eat, drink and just have fun. Fantastic as always! Great little neighborhood spot and look forward to our next visit! Have been in numerous times and this time we stepped out of the box and tried some new dinner selections, yet another great decision to come to Carmine's, it's ALL GOOD! Can't wait to go back, may even try something new again! Always have a great time! Took my parents for the first time and loved it! The evening took almost three hours. Casual dinning indeed. The staff walks around and looks at themselves in the mirror above the tables in the back. When you order coffee and dessert, coffee comes and dessert arrives twenty minutes later???? No offer of a warm up or refill. Check your bill we were charged for two drinks we didn't order. We plan never to return. The food there is amazing, with a very attentive staff who do a great job at serving up their family style dishes! Carmine’s was my all time fave for years. The last 2 times I’ve eaten there have been a big disappointment. The food quality has gone way down and the meals at our most recent visit were dry and served on the cold side. The service was fair. Our server was busy, but she seemed completely disinterested in helping our table. Just a very mediocre experience across the board. Can’t say Carmine’s is anywhere near the top of my list any more. The food was wonderful, generous family/couple sized portions. Becca and Nate were great and informed servers. It was roasting hot on the patio and a little noisy. The food is rather over thought, over sauced and overpriced. We waited about 15 minutes until someone came to take our drink order. Our waitress seemed annoyed with our questions about the appetizers. Food was delicious, we did the 5280 menu and had plenty of left overs. Great wine list but I wish there were more by the glass options. It took about 5-8 minutes for our server to greet us but she was very helpful and informative. We were sat smack dab in the middle of a main room so it was a little loud but overall we plan on coming back! We were pleasantly surprised; expected just another a Italian Restaurant, but it was extraordinary! I’m gluten free and they had plenty of options for me and my husband loved it too and he’s not gluten free! We’ll definitely go back again and recommend to friends! Excellent service, food and ambience. One of our favorite neighborhood gems! 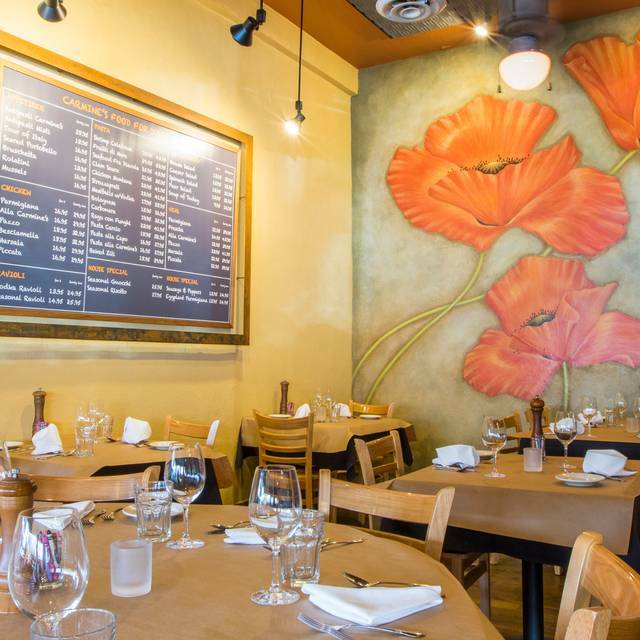 Great food, friendly service, and perfect for a low key date night. What a find! We love going back and you have to try the salads! We were revisiting Carmine's after being gone from Denver for a long time. Same great food and service as before. Our waitress, Ashley, and the entire staff were friendly, cordial and full of excitement about the food. The Chicken Montana was a wonderful mix of complimentary flavors! We will definitely go back. A great birthday dinner at Carmine's! Service was prompt and friendly with our waiter explaining the menu and wines. Plates be are made for sharing and we had plenty of leftovers to take home. We enjoyed the Carbonara and ravioli along with splitting salads, made for a feast. A loud, casual dining room, is good for big parties. Impressed by the assistant waiters who were quick to box all of our food for take out. The wait was ridiculous, especially for having made reservations. The service was awkward, our server was reluctant for some reason to bring us a menu, insisting upon a “verbal menu” combined with one on the wall slightly around the corner. Strange. However the food was excellent as always.